The star of any Batman movie isn’t the caped crusader, or the over-the-top villain he’s trying to defeat. It’s the Batmobile. The Dark Knight’s ride has seen countless design changes over the years, but it’s always been packed full of wonderful features that always make it the real star of the show. The Batmobile in the upcoming Batman v Superman is no different. 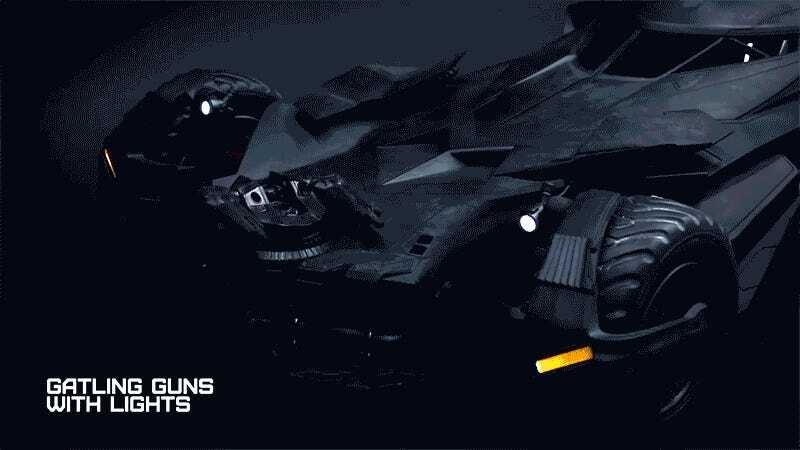 And as the company has done with previous versions of Batman’s ride, Hot Toys has a sixth-scale replica enroute complete with working lights, moving parts, and a cockpit that’s as detailed as a fighter jet’s. And ahead of its official reveal at the upcoming 2015 Toy Soul show in Hong Kong, Hot Toys has released a teaser video to tide us all over.